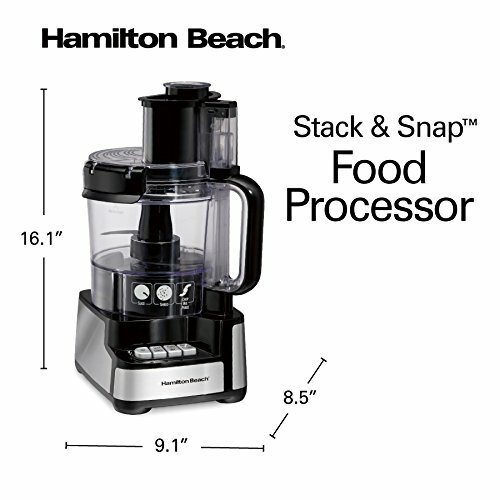 Designed to be uniquely simple, the Hamilton Beach® Stack & Snap™ 12 Cup Food Processor requires no twisting, turning or locking during assembly. 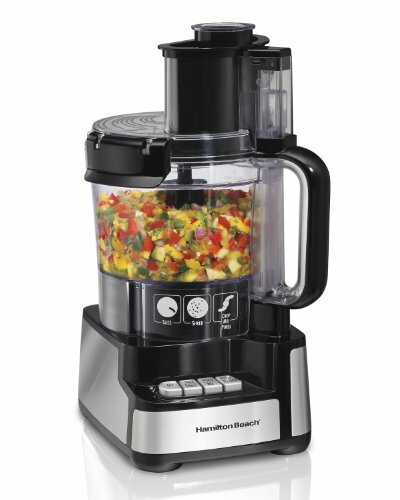 Instead, it’s as easy as stacking the 12-cup bowl onto the base, then snapping on the lid.PREP THE FRESHEST INGREDIENTS. 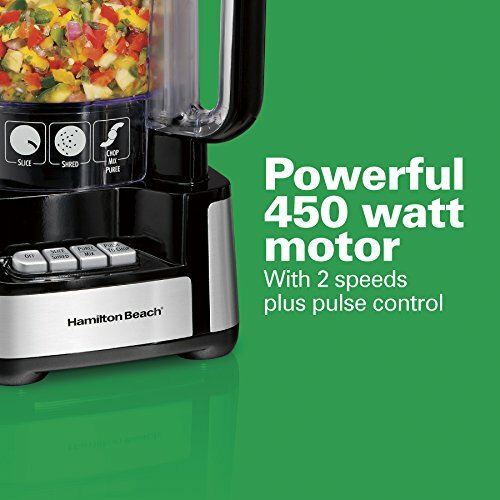 A powerful 450 watt motor and 2 speeds plus pulse control save you time and money. SIMPLE TO ASSEMBLE AND USE. 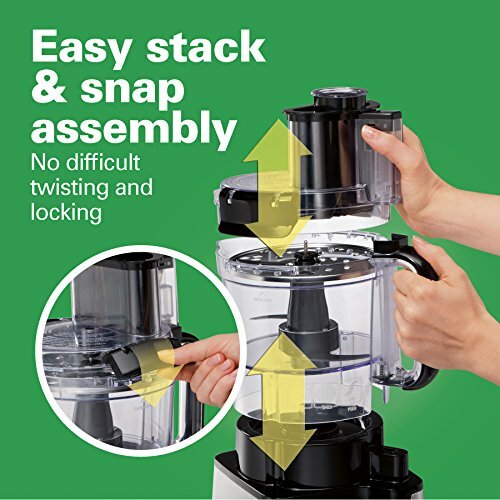 Stack & Snap design requires no difficult twisting or locking. 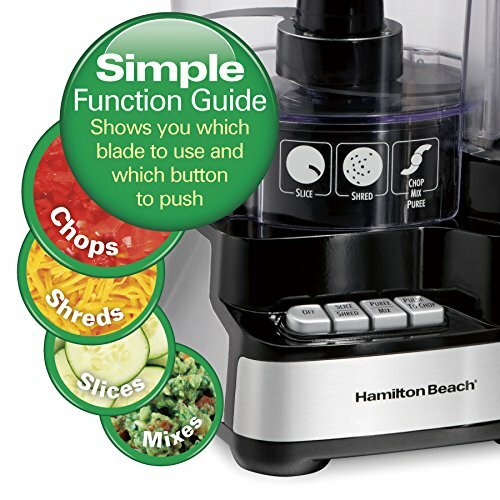 A simple function guide is printed on the food processor for ease of use. 12 CUP CAPACITY. 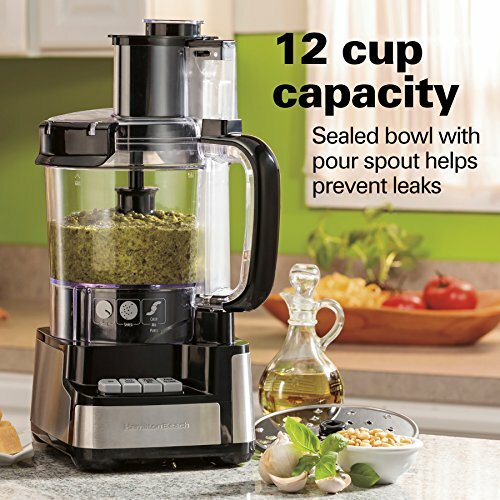 Sealed bowl helps prevent leaks when mixing liquids. STAINLESS STEEL BLADES. 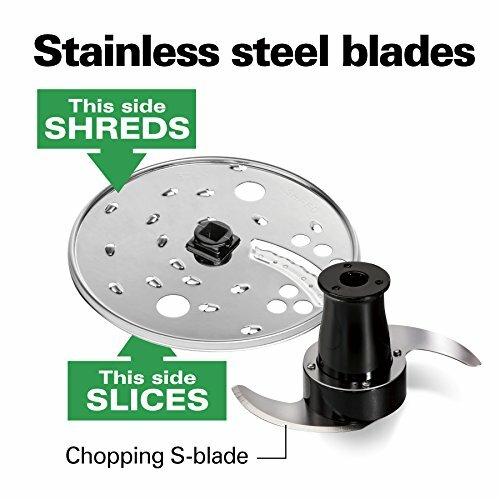 S-blade and reversible slice/shred disc chop, slice, shred, mix and puree just about anything. LARGE FEED CHUTE. 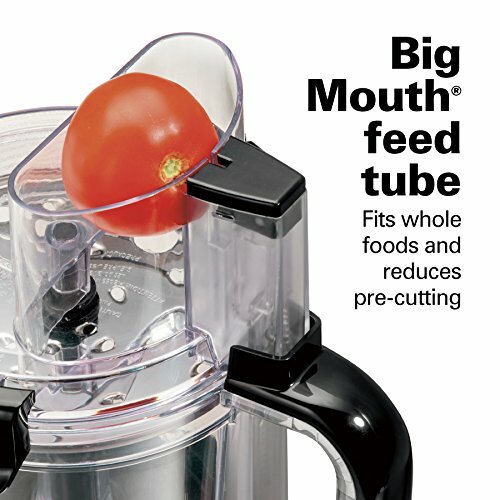 Big Mouth feed chute fits whole foods for quick, easy processing and less prep time.